At TechFW, we take a team approach to mentoring our clients ventures. Our M-Crew program is designed around a team of mentors with diverse experience working with two companies over six months focusing on central barriers to growth the founders are facing today. We aim to match companies in need with skilled mentors looking to give before they get. The volunteer mentors and the companies both receive training to amplify the effectiveness of the program. The M-Crew program provides a flexible structure for everyone in each cohort to best define the rules of engagement to best serve the mission. The main rules we put in place is no investments and no paid contract work from mentors into the companies for year from the date the matchmaking is set. We also have all of the mentors sign a confidentiality agreement. We believe in creating an environment and program for “a-ha” moments to thrive but know that people are where it starts when it comes to helping. Dr. Cynthia St. John is the Principal of Chiefology. As the former Chief Learning Officer for one of the largest faith-based health care systems in the country, she ultimately created Chiefology to bring extensive research and experience with best-in-class, big-player leadership and organizational development practices to "fields of all sizes"... so all C-level leaders and their organizations can achieve world-class results. She helps leaders prepare for, transition into, and excel at their executive roles. Cynthia has served as an advisor and consultant for organizations ranging from local start-ups to international Fortune 500 companies. She is published in peer-reviewed journals and professional magazines, and has taught undergraduate and graduate courses at the University of Houston, University of Texas, Southern Methodist University, and Rice University. She is an executive coach for the University of Texas-Arlington Executive MBA program. 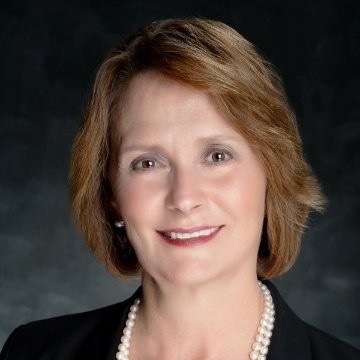 Cynthia is also a 15-year volunteer for Quality Texas and the national Baldrige program, currently serving as a judge for the state-level award; both programs develop and recognize excellence in organizations of all sizes. She was recently named a Fellow by the Quality Texas Foundation for her body of work and long-term service in performance excellence. Tim is a Partner with B2B CFO, the nation's largest CFO services firm providing a broad range of business advice and service to emerging and mid-market companies since 1987. Tim is a CPA with extensive healthcare experience in strategic planning, reimbursement, managed care, budgets, practice management, information systems, general hospital operations, and financial management. His experience reflects the benefits of both the non-profit and for-profit sectors of the healthcare industry. 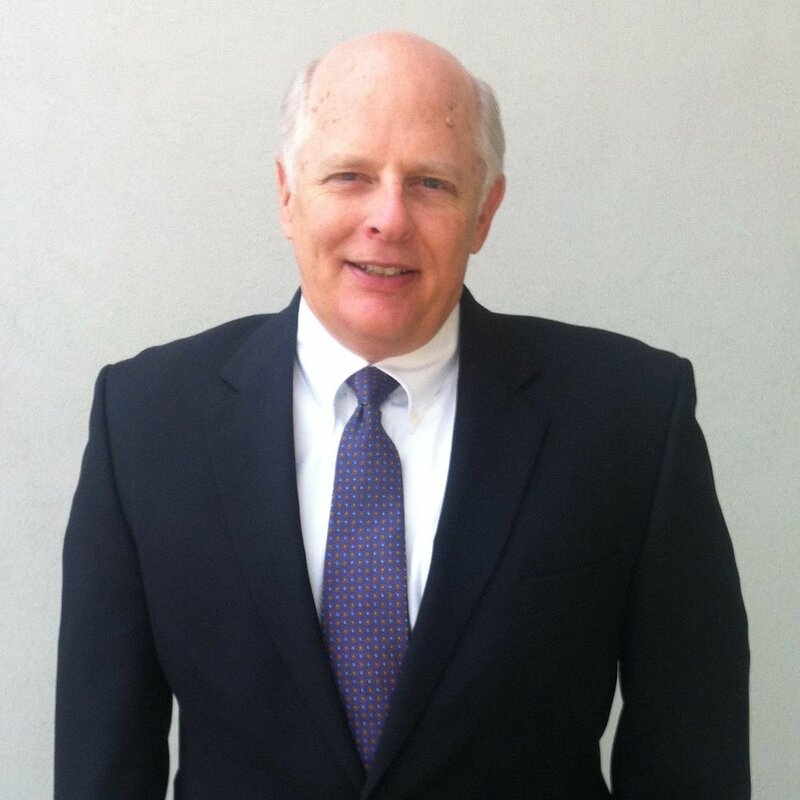 As an executive specializing in the healthcare industry, he has helped physicians and hospitals improve operations. Utilizing his innate skills and education from UNT, PSU, and Goldman Sachs Small Business training program, Randy Roberson started Sandler Training of Fort Worth, part of the Sandler network. Randy works closely with small business owners and CEOs to develop their team and improve the bottom line. Through innovative, effective training and consulting, he helps put their organization a step ahead of the competition by delivering training through powerful public and private in-house programs with distance learning available for reinforcement. Clint Reese is an entrepreneur, Professional Development Trainer, Keynote Speaker, author, and stand-up comedian. Clint’s first job was at the age of 14, and in the past 20 years he has been a dishwasher, managed multi-million dollar producing teams of consultants, and just about everything in between. His experience crosses a myriad of industries, and he’s identified two key components that are make or break in regards to businesses’ long-term success; the culture created inside the business and the way the business treats its customers. Clint possesses expertise in training topics ranging from Emotional Intelligence, Generations in the Workplace, Communication, Team Building, Conflict Management, and many more. Clint’s mantra; culture is key! It starts at the top, is built on integrity and empathy, and is ever-changing. Andrew first came to the Dallas/Fort Worth area to teach in the Department of Finance at Southern Methodist University. There, he acquired the ‘computer bug’ and left after several years to start his own software company to create software tools for programmers. He sold rights to those products as the market evolved and moved into telecommunications software where he developed several interactive voice response systems, one of the first implementations of Internet-based 911 emergency systems, experimented with automatic speech recognition, and designed, developed, and sold a call recording system for call centers. During these ventures he collaborated with three other co-founders to create a company to computerize records management and mug shot systems in police departments and sheriff offices. The company was very successful and it was sold to in an M&A transaction to an industry consolidator four years later. Using his Ph. D. in economics he has also worked for a hedge fund and an investment management firm, applying economic analysis to develop trading strategies and manage risk. While working on point-of-sale systems he was awarded an early patent in the geolocation field (U.S. European Patent 13180750.5 – 1958, inventor). He has also written several papers in software development, finance, and economics in academic and practitioner journals and The Wall Street Journal as well as presented at professional conferences. Currently, he has resigned from his day job to work full time on three new startups. Two software and one hardware. Logan is a highly accomplished Senior Executive, C-Suite Officer, Entrepreneur, Consultant, and Author with 19 years of success in various sectors. Leveraging extensive experience in marketing and advertising, he is a valuable asset to a range of companies looking for acumen in cloud transformation, brand differentiation, and revenue generation. In his executive career, Currently, Logan is CTO of a Fort Worth-based branding, marketing, and technology agency that creates and engineers full-scale integrations and solutions. He has directly implemented EOS®; and authored blog articles and white papers for multiple brands. Faith is the Founder of Collective Growth Designs, an integral coaching and advising company that exists to support individuals and businesses in their journey to fulfill their highest potential – mentally, physically, emotionally, spiritually, and financially. Through experience, education, and an enduring commitment to empowering people, collective growth designs offers coaching and advising services that unlock human potential, individually and collectively. As a human potentialist, Faith works with clients toward fulfilling their highest potential, personal and professional growth. Prior to Collective Growth Designs, Faith co-designed and lead Satori’s Optimal Living initiative, which includes programming and resources thoughtfully curated to promote holistic well-being for all team members. She also provides support to members of Satori’s leadership team. Before joining Satori, Faith spent more than ten years in retail management for major brands including Neiman Marcus and lululemon Athletica. Faith is a certified integral coach and is currently pursuing her Bachelor’s degree in Social Work. She wholeheartedly believes people are the most important fuel in any business, and she partners with leadership teams to help design long-term employee engagement programs. Faith enjoys supporting people, individually and collectively, in becoming the highest and best version of themselves. Outside of the workplace, Faith is a member of the board of directors for Girls Inc. of Tarrant County and co-chairs the Walking and Moai Committee for Blue Zones Fort Worth. Chuck’s true passion is combining the power of effective messaging and branding with the countless possibilities new technology affords small and medium-sized businesses. His professional career started with an Information Technology position in a multi-location childcare company that led to opportunities in all other aspects of the business, including starting a real estate development company that constructed 19 new schools which he later led as COO. Through the rebranding of this operation, Chuck rediscovered his passion for branding and helping small businesses. In 2012, Chuck joined Ascend Concepts as partner to manage the business side of the creative advertising agency, as well as developing their sales pipeline and translating client business needs into creative messaging solutions. Chuck currently serves as president of Elkhorn Union, a real estate investment and development company. Elkhorn Union serves as the development partner in a few projects, including developing childcare centers for a new brand currently in development called Mindspring Childcare. Chuck is also involved with startups in the digital advertising (Visibull) and brand & event activation (Wivot) industries. Mr. Bouligny has earned a Master of Business Administration degree from Texas Christian University (Fort Worth) and a Bachelor of Science degree in Marketing and Information Systems from Bentley University (Boston, MA). He currently serves as Treasurer on the executive board of Near Southside, Inc (Fort Worth), as President of Connecting for Conquerors (Cancer Care Services affiliate), and is on the board of The Women’s Center of Tarrant County. Nikole is the current Managing Member & CEO at Envoy Managed Services, LLC. Envoy is a new breed of Managed Service Provider (MSP), a specialty partner who delivers more than a suite of managed IT services. Envoy’s approach empowers clients to deploy effective business and technology solutions that fit their unique—and changing—requirements. She is also the Principal Owner at Dickman Consulting, LLC. Dickman Consulting helps clients transform their enterprises by identifying high-value opportunities, enhancing business processes and systems, and working together to overcome critical challenges. Consultants serve as key contributors at multiple points in a project life cycle, providing the expertise required to ensure our clients keep pace with their evolving business requirements. A veteran entrepreneur herself, Julie Wilson built, owned, and managed companies ranging from the area’s largest advertising agency to a six-county network of retail franchises. She understands the pressures of risk and reward, the weight of making payroll, and how to become the needed expert in all fields of business management while attracting and retaining clients. At the other end of the spectrum, she has managed major divisions of Fortune 500 companies, serving as the ranking local officer for three such companies, and understands shareholder value and how to engage with various audiences for success. In her personal time, she volunteers as a mediator for small-business disputes and serves on numerous non-profit boards. Claude C. Longoria, MBA, Director of Technology Commercialization at UNT Health Science Center (UNTHSC) has over twenty-five years of experience in bioscience research, technology development, intellectual property management, health information management and entrepreneurial ventures. Mr. Longoria earned a Bachelor’s degree in Microbiology from UT Austin and performed clinical laboratory work at the Texas Department of Health. He conducted bioscience research at Baylor College of Medicine (BCM), developing in vitro diagnostics technologies and managing initiatives to partner with industry. Mr. Longoria was co-founder and CEO of a firm created to develop and commercialize BCM technology. After earning his MBA from UT Austin, Mr. Longoria served as Director of ImmTrac, the Texas Immunization Registry, at the Department of State Health Services. He was a Licensing Associate with South Texas Technology Management, a consortium formed to manage and commercialize intellectual property for several academic institutions. Prior to joining UNTHSC, Mr. Longoria was Asst. Director for New Venture Development at UT Health Science Center San Antonio, with responsibilities including licensing and new venture formation to commercialize university technology. He is passionate about helping to move technology from the research lab to commercial markets and has created and managed three bioscience startups, forming strategic partnerships and collaborations with major firms in the industry. Caroline is a founding Partner of Dowell Pham Harrison LLP. 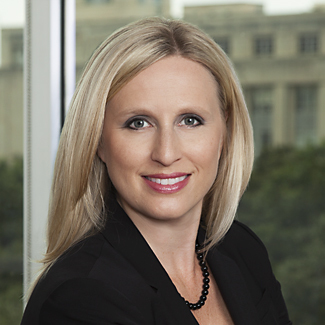 As an attorney Board Certified in Labor and Employment Law by the Texas Board of Legal Specialization, she represents employers in disputes with former employees, and guides them through the sometimes confusing arena of employment law. Her practice focuses on employment litigation and counseling. Caroline assists employers in a variety of areas, including anti-discrimination and retaliation laws, drafting and enforcing covenants not to compete and non- solicitation agreements, and protection of trade secrets. She advises employers on the Family and Medical Leave Act, (FMLA), Unemployment Compensation appeals, handling complex investigations into sensitive employment issues, Wage and Hour issues, and classification of employees under the Fair Labor Standards Act, (FLSA). She provides counseling on complex issues including discipline, termination, harassment, investigations, effective employment practices, litigation avoidance and accommodation of disabilities, as well as training human resource professionals, managers, and supervisors in all areas of employment law. John is the current Coach and Senior Associate at Peak Performance Group TX, LLC. Having officiated over 1000 games and 20 playoff games in his 25 year career as a Texas High School football official along with a successful sales and marketing career, he understands what it takes to be competitive both on and off the field. That is why in growing his business he has had great success in sales, leadership and team coaching. He is now coaching other business professionals so they can reach their Peak Potential. John works with teams to help achieve goals, motivate one another, find holes in business systems and produce a scalable selling system. He is the President of the Corporate Resource Group, a nonprofit organization, one of the best, if not the best, networking groups in Fort Worth, Texas. CRG was organized over 15 years ago and has grown to 29 members, all of who are leaders in the community and their respective businesses. CRG’s mission is to provide leads, referrals, and introductions to each other and to help grow each other’s businesses. Success comes from the personal referral. With millions of dollars in business generated every year from referrals, CRG continues to be a driving force.